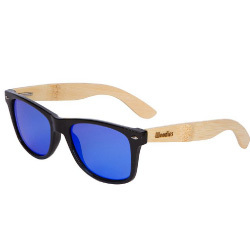 The best bamboo sunglasses and the best wooden sunglasses combine price and quality to provide the highest value. However, the best bamboo sunglasses can be quite expensive because you are paying for the bamboo material. 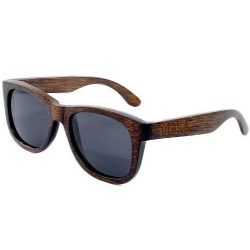 The best wooden sunglasses tend to be a bit cheaper because the wooden material can be from many different sources. It can be hard to find the best bamboo sunglasses to buy because most vendors only offer one or two options. In contrast, it can be hard to find the best wooden sunglasses to buy because most vendors offer too many options! 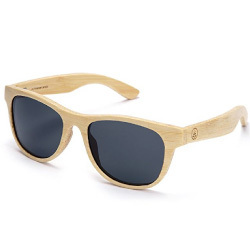 We have compiled a list of the top bamboo and wooden sunglasses online. 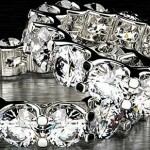 The factors considered include price, quality, style, brand, colours offered, and customer reviews. This popular pick tops our chart for the best bamboo sunglasses in 2017. 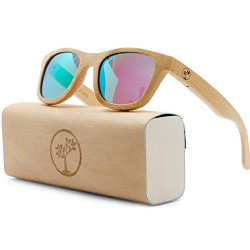 Made from bamboo and all eco-friendly materials, Tree Tribe also plants 10 trees for every pair sold! They have a UV400 polarized lens and come in a variety of 4 different colours. Price ranges from $50 USD on Amazon to $150 USD in-store. 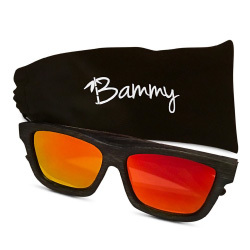 Protect your eyes against harmful UVA/ UVB rays with these anti-glare and polarized lenses. Every frame is handmade with eco-friendly bamboo, so no two pairs are exactly the same. In addition, they come with a microfiber case… which also floats! Price ranges from $30 USD on Amazon to $100 USD in-store. These sunglasses are handmade with an exceptionally sustainable bamboo that is naturally grown without the use of pesticides. The polarized lenses protect your eyes and maintain clear vision. You also receive a microfiber cleaning cloth and magnetic bamboo case. Price ranges from $70 USD on Amazon to $150 USD in-store. This large, dark blue frame fits wider than most pairs. In addition to polarized lenses, they are also waterproof. Steel spring hinges allow the frames to fit a variety of heads comfortably. Price ranges from $30 USD on Amazon to $60 USD in-store. Equipped with a plastic frame, this is a more affordable option that has the same style and appeal. They have anti-glare and anti-reflection lenses. Lastly, they are 50% lighter than Ray-Bans. 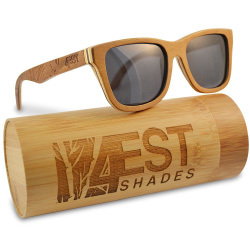 Due to overwhelming customer reviews, this pair easily made the list of top 5 best bamboo sunglasses. Price ranges from $20 USD on Amazon to $45 USD in-store. 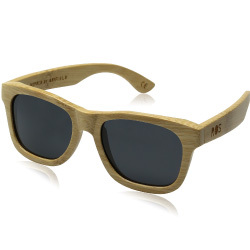 Available in four different colours, these are one of the top 5 best wooden sunglasses online. They combine premium, domestic hardwoods with a birch core construction and Carl Zeiss lens. In addition, you have the option to buy polarized or not. Price ranges from $180 USD on Amazon to $250 USD in-store. Each frame is handmade from sustainably sourced wood. In addition to the unique design, they also have a quote on the inside rim saying “Change Favors the Prepared”. They are not polarized but do offer 100% UV protection coating. They come with a wood box and microfiber pouch. Price ranges from $90 USD on Amazon to $120 USD in-store. 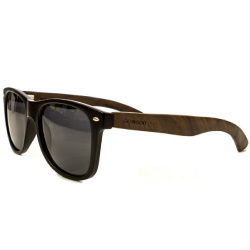 These are the best wooden sunglasses made from real ebony wood. Their polarized lenses are lightweight and very comfortable. They also provide UV400 for UVA and UVB protection. Find alternative colours with bamboo or walnut legs as well. Price ranges from $40 USD on Amazon to $60 USD in-store. 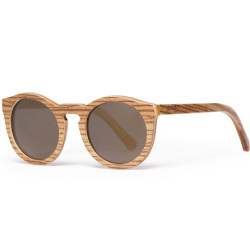 Each pair of these wooden sunglasses is handcrafted from sustainably sourced wood. They float in water, making them a popular choice for beaches, boats, water sports, and fishing. They are also “uniquely named after Texas’ Secretary of State and chairman of the Railroad Commission, Allison Mayfield. In 1909, he purchased 23 acres that would later become Mayfield Park”. 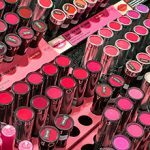 Price ranges from $70 USD on Amazon to $80 USD in-stores. 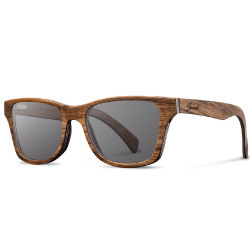 The most amazing carved details secured this pair in the list of top 5 best wooden sunglasses online. They’re available in three different colours and protect your eyes with a UV400 lens that blocks 100% of UVA & UVB rays. They also restore true colour and eliminate reflections. In addition, two trees are planted for every purchase. 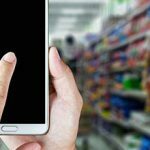 Price ranges from $50 USD on Amazon to $80 USD in-stores. 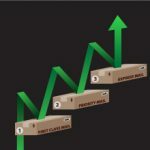 We are an international package forwarding company, allowing people all around the world to shop online. Simply register with ReShip to receive shipping addresses in the US, Canada, and the UK. Then begin shopping online at your favourite retailers. 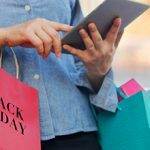 Visit ReShip or watch this 30 second video to find out how you can shop online in more countries!